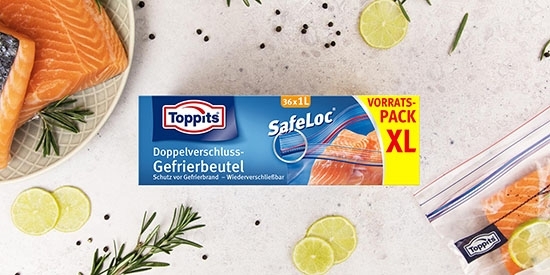 Kühlpacks mit Toppits® Gefrierbeuteln einfach selbst gemacht. After a long day or a good workout, your head and body sometimes need to cool off a little. Great, if you have one or two cool packs in the freezer. But what if you don't? A cool pack is really a practical thing, but unfortunately it is often one of the things we forget and don't have at home when we need it. 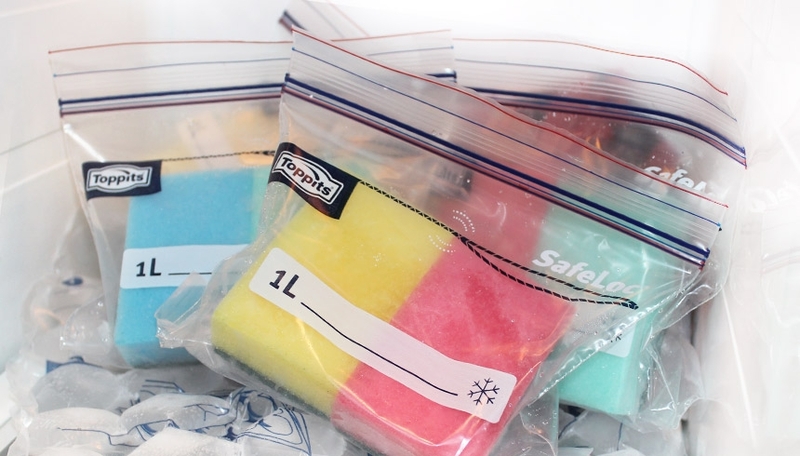 You can easily make your own cool pack from a sponge, a little water and our Toppits® freezer bags. Simply soak the sponge in water, pack it in an airtight freezer bag and place it in the freezer compartment. So you're perfectly prepared for the moment when you really need to cool off.